Neil McDonnell served fifteen years in the Irish Defence Forces, leaving in 2000 with the rank of captain. After a year with the health service, he joined the world of contract logistics, first for Hoyer Ireland, and latterly for Wincanton Ireland, in petroleum distribution. 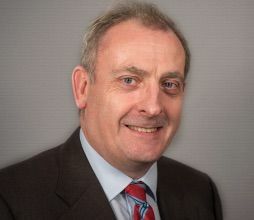 He joined FTA Ireland as country general manager in October 2013, where he served until taking up his role as CEO of ISME in October 2016.